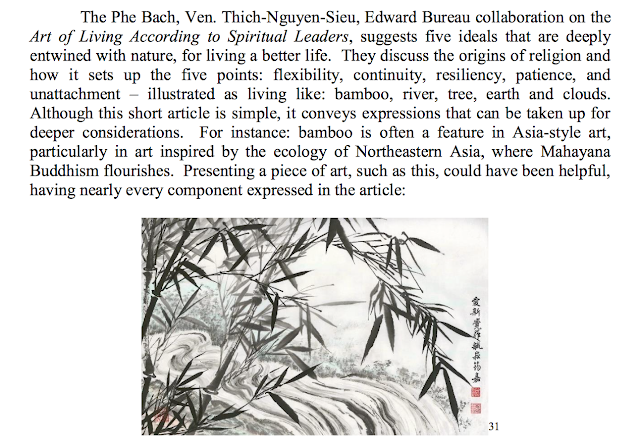 Thank you to a very dedicated Buddhist scholar Dion Peoples, our paper with the Most Venerable Thich-Nguyen-Sieu and Dr. Bureau on The Art of Living according to Spiritual Leaders was published on the Journal of the International Association of Buddhist Universities JIABU, Volume V, 2015: 90-94. To read the whole journal, please click here. Here are the words of the editor, Dr. Dion Peoples about our article. Kim Quang Buddhist Temple and Drexel University Sacramento. Phật Đà Temple of San Diego, CA. 5) The Fifth Art Of Living Is To Live As The Clouds. These five core principles frame specific practices and directions for everyone, Buddhists and non-Buddhists alike—including spiritual leaders, laypersons, and the Sangha—who wish that individuals, families, and societies be more harmonious, more peaceful and more happy. Boorom (2009) suggested that leadership has roots in religion, as there is a direct correlation between leadership and spiritual qualities. Marques (2010) suggests that “it is perfectly possible to be spiritual yet not religious. There are many spiritual people who are atheists, agnostics, or that embrace multiple religions at the same time” (p.13). For her, “a spiritual worker is a person who simply maintains good human values, such as respect, tolerance, goodwill, support, and an effort to establish more meaning in his or her workplace” (p. 13). DeVost (2010) emphasized that current research in organizations has found a relationship between the spirituality of the leaders and the spirituality in the workplace. In this study, Devost (2010) found that the practice of ‘encouraging the heart” – one of the five exemplified leadership values -- was significantly positive. According to Kouzes & Posner (1995), the five practices of good leadership are: “challenge the process, inspire a shared vision, enable others to act, model the way, and encourage the heart” (p. 9). Meanwhile, leaders often put their spiritual lives into practice, as well as their moral beliefs and ethical values. As Northouse (2004) has argued, ethics and leadership are “concerned with the kinds of values and morals an individual or society finds desirable or appropriate” (p. 342). Furthermore, he pointed out that an ethical model of leadership consists of five components: a) showing respect, b) serving others, c) showing justice, d) manifesting honesty and e) building community. In another study, Zhu, May, & Avolio (2004) define ethical leadership as “doing what is right, just and good” (p. 16). Zhu et al. (2004) added that leaders exhibit ethical behaviors when they are doing what is morally right, just, and good, and when they help to elevate followers' moral awareness and moral self-actualization. Bass and Steidlmeier (1998) suggest that a truly transformational and effective leadership must be based upon: a) the moral character of the leader and his or her concern for oneself and others, b) the ethical values embedded in the leader’s vision, and c) the morality of the processes and social ethical choices and actions in which the leaders and followers engage. The art of living life is about how we live peacefully with ourselves in accordance with our family, community, society, and homeland. As men and women laity (laypersons), we must live to obtain harmony, peace and happiness for ourselves. Reading from the classic Sutras (teachings of the Buddha) and through examining our psychological experiences, as well as our personally lived experiences in our own lives, we can see the virtues of the bamboo, the rivers, the apricot (mai) trees, the earth, and the clouds. From there, we can extract the art of living a Buddhist life. We can see and understand the humble beauty and flexibility of the bamboo trees—when a gust of wind blows through the bamboo, it, being flexible, will be swept with the direction of the wind. This phenomenon illustrates how life moves and bends under different conditions, and how we need to live responding according to the elements for things to coexist. We ought to understand ourselves as well as others around us. We must nurture our true self—the core values within—therefore, when we make contact with difficult real life situations we are not broken, nor do we feel like we have lost a part of ourselves. Flexibility is a characteristic of the bamboo trees: they never fall apart within the storm. They move within the storm, yielding to that which will leave them standing, without breaking. As laypeople, when we are faced with problems in life, we need to be flexible like the bamboo. We need to build within ourselves the art of living with others in different situations and circumstances. The spirit of Buddhism is both formlessness and Tùy Duyên (Sanskrit: Pratitysamutpad--dependent arising). The spirit of Buddhism is not a fixed character nor a phenomenon which is subjective and always a rigid status quo. The spirit of Buddhism depends on conditions. So the spirit of the Buddhist precepts (or spiritual discipline) is not rigid. It depends on conditions and circumstances; it is not fixed. Therefore, in the path of propagating Dharma transmission in a new land, to a different ethnicity or culture, Buddhism always flows as is appropriate and its transmission is dissolved into the new ethnic culture. For over 2600 years, the presence of Buddhism in this world has eased pain and suffering. There is no trace of blood or tears in the name of "Dharma Transmission" in Buddhism. That is because of the spirit of Tùy Duyên (dependent arising) in Buddhism. Therefore, we need to adopt the art of living as a river: water flows from upstream to downstream and out to sea. If a river lies on a high plateau, the water flows quickly downstream, but when the river is down below the plateau, the water flows gently, slowly, more poetically, and then the river merges and integrates into the sea without holding a fixed nature. In life, too, living in our environment or facing certain circumstances, we have to apply the art of dissolving (in life with everyone, with other sentient beings, and with the social environment) without holding on to our self-centered egos. The reason that we have to suffer or face dissatisfaction is because of our egos. We refuse to let it go; we want to cling to our ego or we are simply not willing to dissolve it with the masses of people. We identify with our ego and superego as our beings; and when we pay attention to our ego, it gets bigger. Thus, we think that we are the most important individuals and that others must listen to us. We tend to forget that in this life, all sentient beings have Buddha Nature. We all have access to the knowledge and the practices, as well as the potential to be awakened. So, we have to respect each other. From an old man to a child, we must always remain in harmony, courteous, humble, and compassionate towards each other, according to the precepts. If our ego is too big, it will create a big wobble and topple our life. The ego will never put our life at ease or make it peaceful. As laypersons, we need to eliminate or let go of our dogmatic views and ego. Everyday we need to work at reducing our egos; the more we let go, the more harmony we will have with others. In the language of the Sutras, the art of living as a river is the ability to dissolve into the ocean. River water cannot retain its personal, or ego-identified, identity of the river, but has to merge and integrate into the vast ocean. Both the river and the ocean are referred to as water. Water dissolves in water and so ought our own selves with others. The mai is a unique tree in Vietnam. It is known as a great tree for its longevity. With its bulky and rough bark, at first sight, we understand at once it must be able undergo many hardships: rain or shine, season to season. The roots of the mai tree are firmly grounded in the hillside supporting the tree to stand on its own and exist in this universe. All kinds of weather conditions have coated its stems and roots, yet the mai tree still reaches out and progresses with endurance through time—rain or shine—until a day in springtime, when mai flowers bloom with beauty and fragrance. The mai is the symbol for patience and optimism. It faces weather and obstacles and yet it will blooms and displays its beauty, although time may wreak havoc. People, too, are always changing and aging—we are born, grow up and pass away. From observing and understanding the mai tree, the layperson can cultivate Buddha-hood. 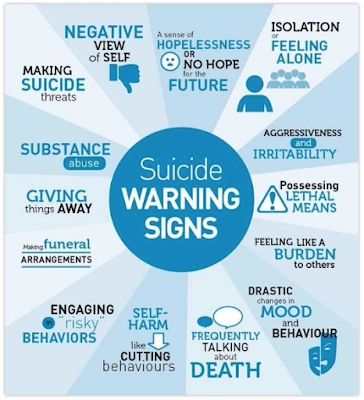 This does not happen within a short period of time, but through many rebirths, many lives crossing the rapid currents of suffering, life and death. Thus we have to train our mind with determination to attain Buddha-hood. We can practice the teachings of the Buddha and affirm our mind and heart in the Dharma Realm, similar to how the mai tree patiently endures the rain, the sun, or the storm. Thus, when we are facing challenges, difficulties or hardships in life, we must overcome them, careful to keep our mindfulness, and not flinch, nor break our will in order to achieve success on the path to enlightenment through our own practices. Being patient, enduring, robust and forgiving, the earth produces and raises all things in the world. Humans live well on this planet because of the earth. We live and pass on this land and so does everything else. Therefore, the earth symbolizes the virtue of fortitude and endurance. When we irrigate the earth with polluted waters, it does not reject or complain; likewise when we irrigate it with clean water, the earth does not rejoice or become excited. On the path of our own practice, we need to learn from the earth: that is an art of living. By doing so, we will have peace and equanimity in this chaos of life. If we become unbalanced in our lives, unlike the earth, we are dependent on the sound of praise and criticism, and thus we suffer dis-ease or experience dissatisfaction. If we are pleased with praise or displeased with criticism, then we are living by others’ desires and that means that we have not mastered ourselves. So we have to live patiently and endure as does the earth. Clouds are floating. The art of living here is to be free and not encumbered. The clouds do not stay still, they travel and dispatch in all directions. They are neither stuck in one place nor contaminated by other factors. Buddhists should keep their hearts and minds free, open and unattached to phenomena. If our heart and mind are attached and not open, this causes hindrances and obstacles to appear, which make it hard to reach enlightenment. When our minds are filled with greed, hatred, and ignorance or stuck by praise-criticism, love-hate, satisfaction-dissatisfaction, then our mind are not as free-floating as the clouds. So, we need to live like the clouds, which is the fifth art of living. Be free--selfless and at ease, floating freely without attachment. The above is a quick summary of the five arts of living. As spiritual leaders, one must have strong relationships with others and have strong inner values such as selflessness and harmony. Spiritual leaders also must have a lofty spirit and morals. Some of these moral values include compassion, diligence, determination, joy, gratitude, love, integrity, honesty, mindfulness, perseverance, responsibility, trustworthiness, understanding and wisdom (Bach, 2014). We pray for and encourage all of us to know how to live an artful life: to be as flexible and humble as the bamboo trees, as integrating and dissolving as the river, as enduring and optimistic as the mai tree, as patient and forgiving as the earth, and as selfless and free as clouds. These five core principles frame specific practices and directions for everyone (including spiritual leaders, laypersons, and the Sangha) who wishes that individuals, families, and societies be more harmonious, more peaceful and more happy. Bach, P. X. (2014). Mindful Leadership–A Phenomenological Study of Vietnamese Buddhist Monks in America with Respect to their Spiritual Leadership Roles and Contributions to Society (Doctoral dissertation, Drexel University). Boorom, R. (2009). “Spiritual leadership: A study of the relationship between spiritual leadership theory and transformational leadership”. Regent University. ProQuest Dissertations and Theses,175-n/a. Retrieved from http://search.proquest.com/docview/305133283?accountid=10559. (305133283). Kouzes, J. M. & Posner, B. Z. (1995). The leadership change: How to keep getting extraordinary things done in organization. San Francisco: Jossey-Bass. Marques, J. (2010). Spirituality, meaning, interbeing, leadership, and empathy: SMILE. Interbeing, 4(2), 7. Zhu, W., May, D.R., & Avolio, B.J. (2004). “The impact of ethical leadership behavior on employee outcomes: The roles of psychological empowerment and authenticity.” Journal of Leadership & Organizational Studies, 11(1), 16. Hôm thứ Sáu 4 tháng 4, 2014 vừa qua, nhà thơ Bạch Xuân Phẻ đã bảo vệ thành công luận án tiến sĩ với chủ đề nghiên cứu rất đặc biệt: Mindful Leadership - A Phenomenological Study of Vietnamese Buddhist Monks in America with Respect to their Spiritual Leadership Roles and Contributions to Society” (Lãnh đạo bằng chánh niệm -- Một cuộc nghiên cứu có tính hiện tượng về các tăng sĩ Việt Nam tại Hoa Kỳ về vai trò lãnh đạo tâm linh và đóng góp cho xã hội). Nhà thơ Bạch Xuân Phẻ sinh ngày 7 tháng Sáu, 1976 tại Vũng Nồm, Phước Lý, Quy Nhơn, Bình Định nhưng lớn lên ở Hoa Kỳ từ 1991. Sau khi tốt nghiệp trung học tại thành phố Lincoln, Nebraska , Bạch Xuân Phẻ theo học nhiều trường đại học tại Mỹ và tốt nghiệp nhiều bằng cấp trong đó có Cử Nhân Khoa Học Sinh Học (Bachelor of Science in Biology with minor in Chemistry/Psychology) tại University of Nebraska, 1998; Cao Học Hóa Học (Master’s Degree Program in Chemistry) tại University of California, Davis, 2001; Cao Học Giáo Dục về Lãnh Đạo và Nghiên Cứu Chính Sách (Master’s Degree in Education in Leadership and Policy Studies) tại California State University, Sacramento 2005. Ngoài ra, Bạch Xuân Phẻ đã hoàn thành rất nhiều nghiên cứu giá trị về khoa học, giáo dục, quản trị và lãnh đạo. 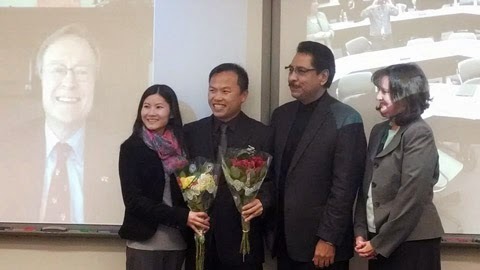 Anh đã được thưởng nhiều học bổng giá trị như Sacramento Leadership Fellowship của thành phố Sacramento, Ronald E. McNair Project Scholarship, Papadakis Public Service Fellowship, UC Davis fellowship. Nhà thơ cũng là tác giả của các thi phẩm Mẹ, Cảm Xúc và Em (2004), Hương Lòng - Perfume of the Heart (2007). Bạch Xuân Phẻ cũng là tác giả của nhiều tâm bút, tiểu luận hướng về tuổi trẻ bằng tiếng Việt và tiếng Anh đăng trên nhiều tạp chí. 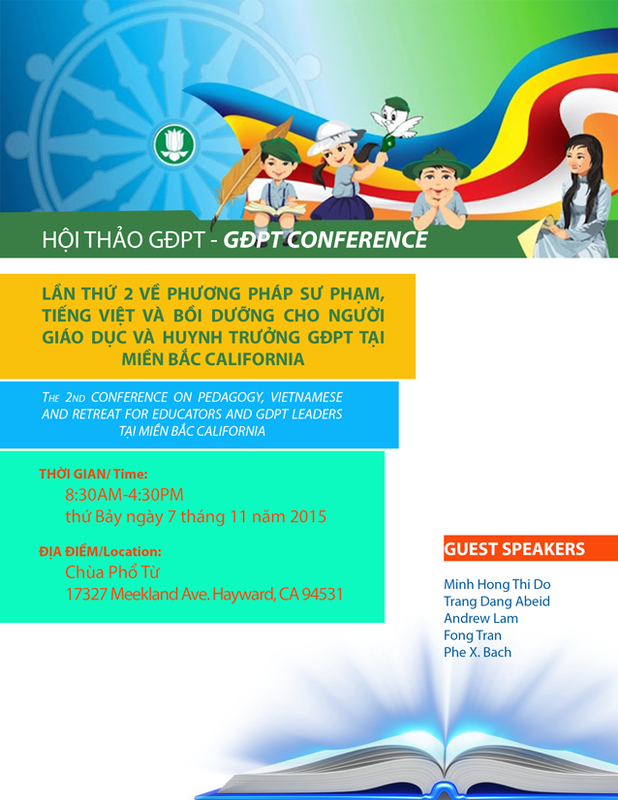 Bạch Xuân Phẻ hiện là giáo viên giảng dạy môn hóa học tại trung học Mira Loma High School tại Sacramento từ 2002 và đồng thời là một Huynh Trưởng Gia Đình Phật Tử Kim Quang Sacramento. 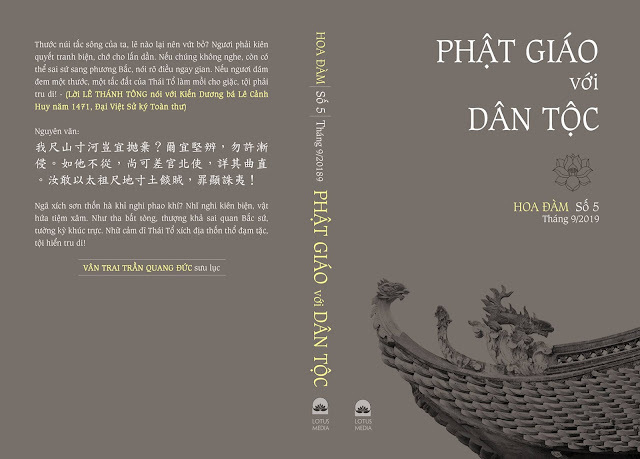 Ngoài ra, Bạch Xuân Phẻ còn là thành viên tích cực của đề án từ thiện Buddhist Pathways Prison Project, một tổ chức thiện nguyện nhằm chuyển tải tinh thần từ bi của Phật Giáo đến đời sống đầy bạo động của tù nhân tại các nhà tù California. Mỗi năm, hàng trăm sinh viên gốc Việt tốt nghiệp tiến sĩ tại các trường đại học danh tiếng Mỹ nhưng có thể nói đây là lần đầu tiên một luận án tập trung nghiên cứu về hành trạng của các tăng sĩ Phật Giáo Việt Nam trên đường hoằng dương Phật Pháp đầy khó khăn và nhiều vấn nạn tại hải ngoại sau 1975. Dù sao, theo nhà thơ Bạch Xuân Phẻ “Sự có mặt và phát triển của Phật Giáo, trong đó có Phật Giáo Việt Nam, đã góp phần quan trọng cho sự hòa bình, hưng thịnh, nhân cách con người và trái đất mẹ”. Hoa Đàm xin chúc mừng Huynh trưởng Tâm Thường Định và kính chúc anh sớm hoàn thành tâm nguyện mang tinh thần Phật Giáo vào đời sống “bằng Chánh niệm, lãnh đạo bằng thân giáo, bằng hành động, sự dấn thân”.